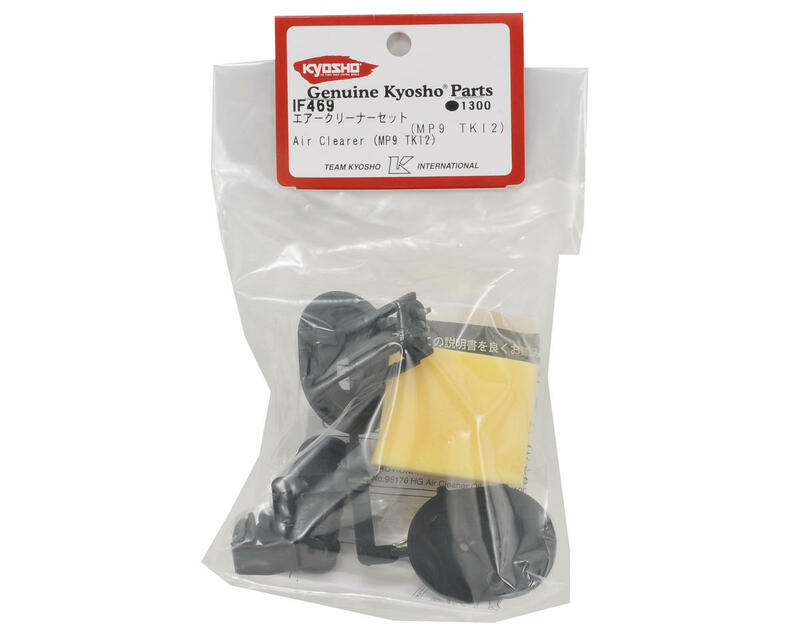 This is a replacement Kyosho Air Filter Set, and is intended for use with the Kyosho MP9 TKI2 vehicles. This is also an excellent upgrade for other Inferno vehicles. 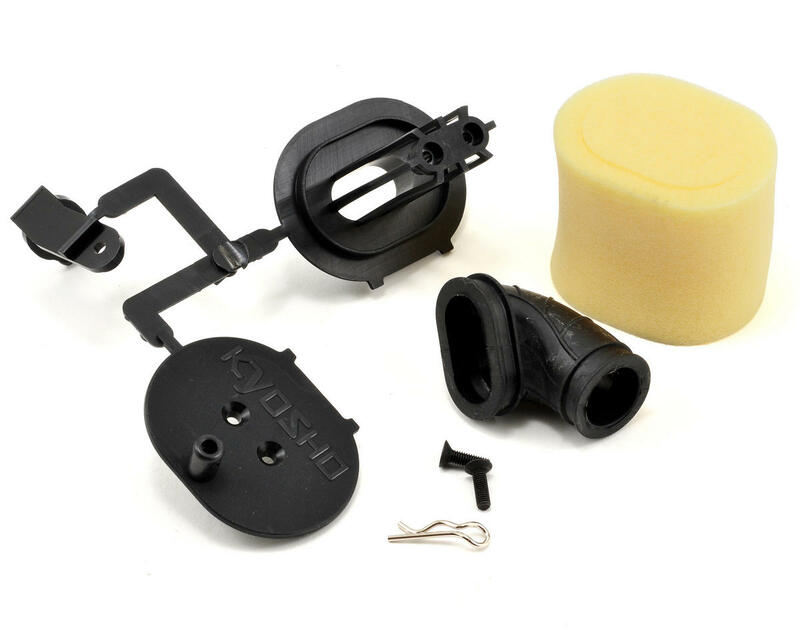 The Kyosho Inferno MP9 TKI2 air filter set has been re-designed for a lower profile fit as well as improved air flow. It includes a bracket that holds the element in place so there is no interference with the brake linkage as well as the filter neck, housing, filter and hardware. ?? Rubber tunnel has incorrect shape. It's tilted in both axis. 1/8 buggy engines has always carburator under the same angle so there's no way it because of my setup. I don't know, maybe only mine is deformed or something. Anyway it's doing the job just not lookin' as nice as on the pictures of TKI2. Plastic holder is perfect, very nicely executed.